The week has come for families to gather around a beautiful meal, enjoy quality football games, have two pieces of pie without being judged, and of course shopping the Super Bowl of sales BLACK FRIDAY. 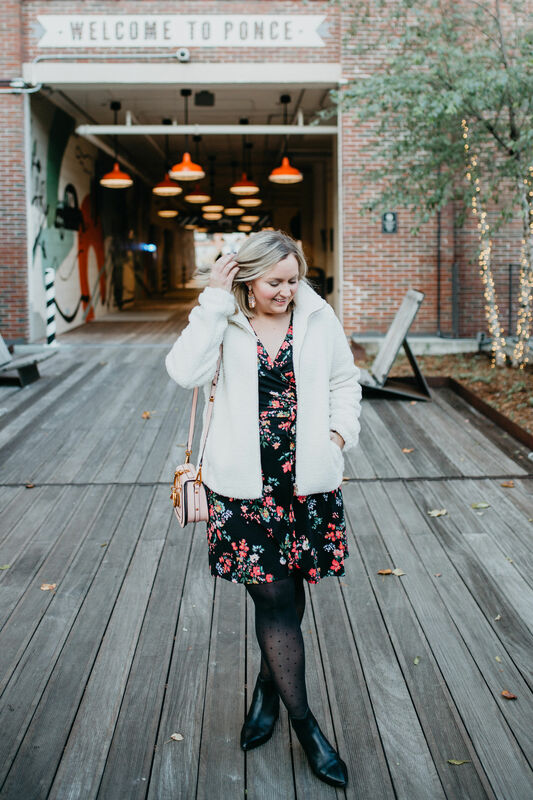 I am so excited to be partnering with a favorite retailer of mine to share one of their exclusive prints from The Black Fri-yay Collection at LOFT. It’s their most floral-obsessed collection ever. 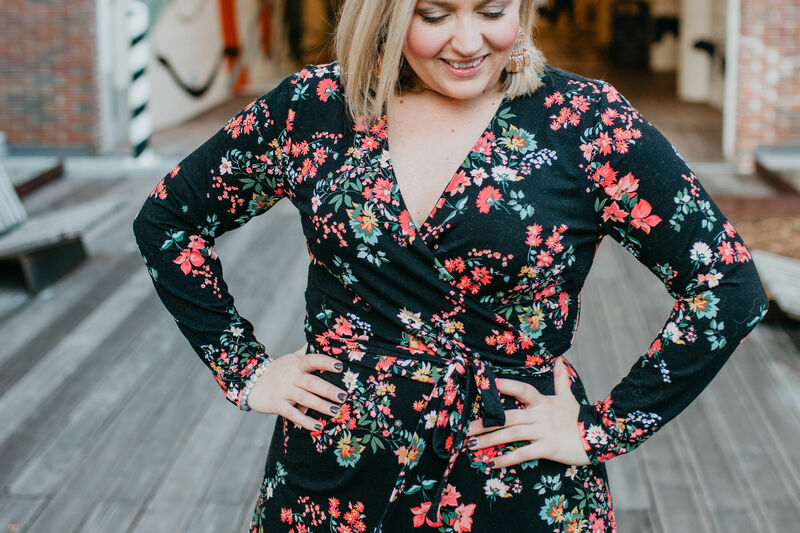 This wrap dress features a beautiful dark floral print with slashes of poppy red, blush pink, green and yellow. If you have been following me for a while you know I love a dark print, because it has the ability to camouflage what we women like to call “our problem areas”. That way you can wear a figure flattering dress with confidence because you know people are looking at the beautiful print. Now on to the really pressing question- How can you take a dress with such a statement print and wear it multiple ways? I promise- it’s easier then getting out of doing the Thanksgiving dishes! You just have to be creative! 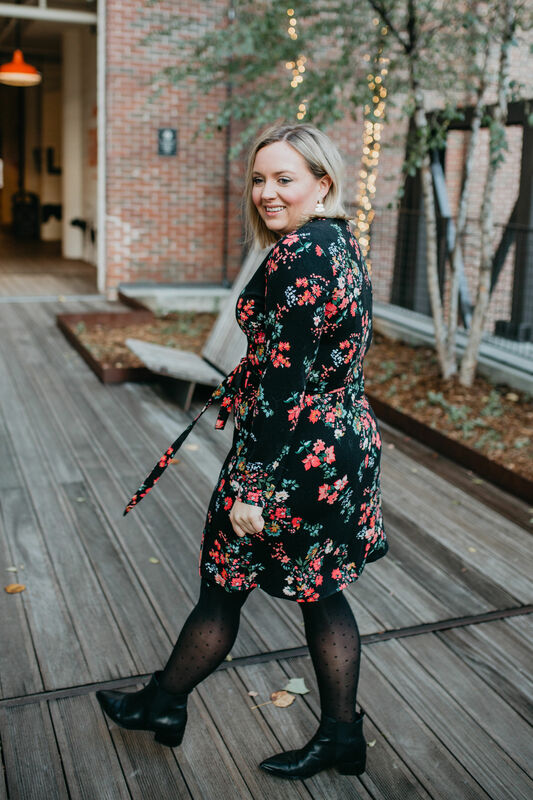 By taking this flirty yet classic wrap dress, you can see how it can be styled multiple ways to get you through several events during the holiday season. Take that old way of thinking a bold print dress can only be worn once and throw it out the window. 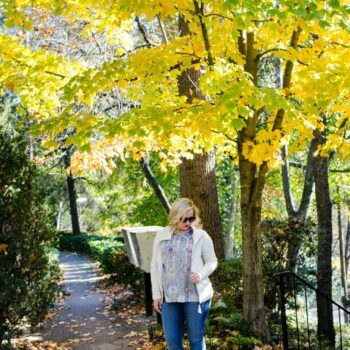 Using this as your guide, you’ll be able to wear your favorite bold print as many times as you need all while making a fresh, new statement for each occasion. 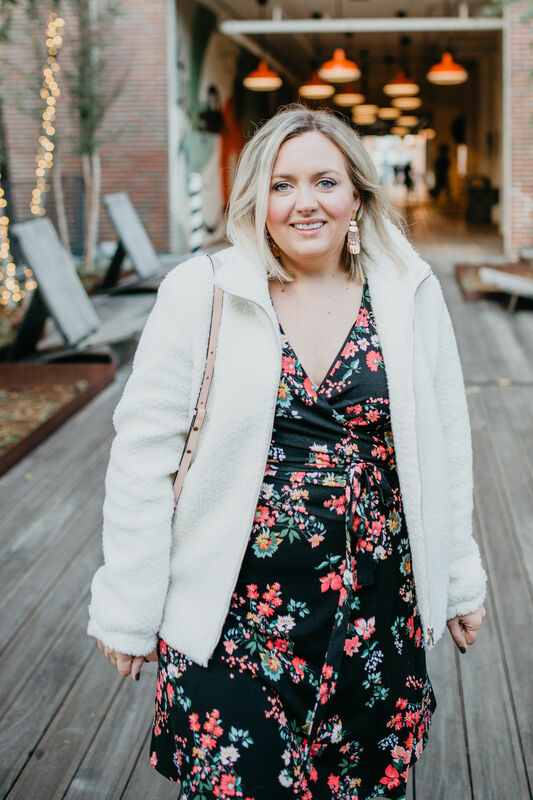 Like turkey on Thanksgiving- a wrap dress is the consistent and necessary style in your wardroe that looks great on all body types and sizes. 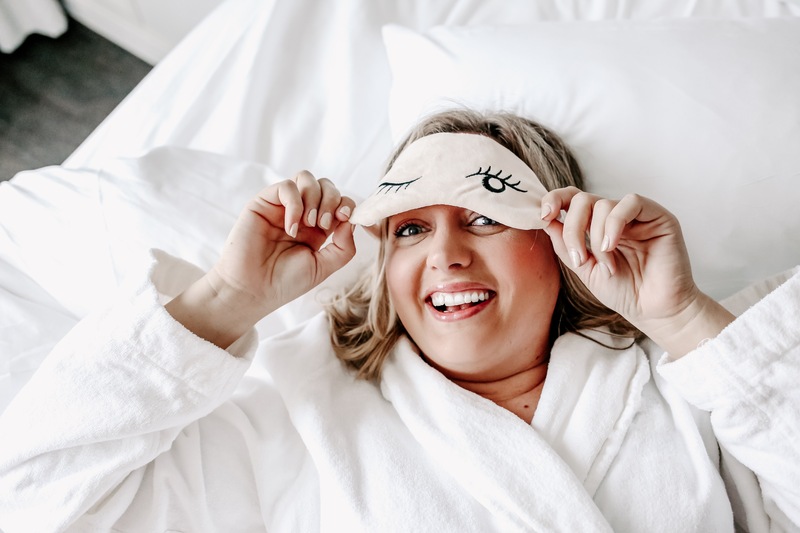 The first way I styled could take you to a #GNO on the town or a cozy dinner date night with your hubby or new beau. 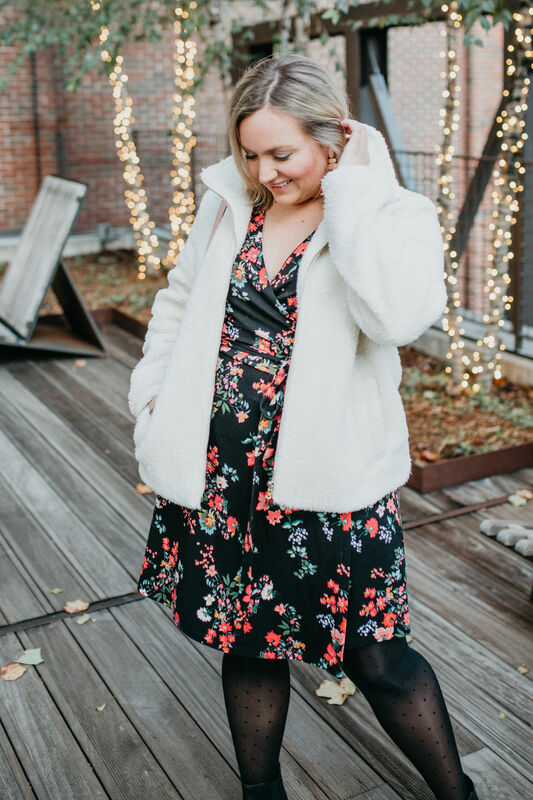 I love the teddy jacket in ivory to bring out the blush flowers and soften the black background. And how fun to spice up your legs with a pair of polka dot print tights?? They keep your stems warm when you’re out on the town or walking off an amazing dinner. I also wanted to dress it up with some beautiful jewels. The rose gold perfectly compliments the poppy and blush flowers. For my shoe choice I went for the comfort option and paired this with a black bootie. But you could 100% rock this with heels! I just suggest one with a strap- as walking in heels and tights can be challenging. 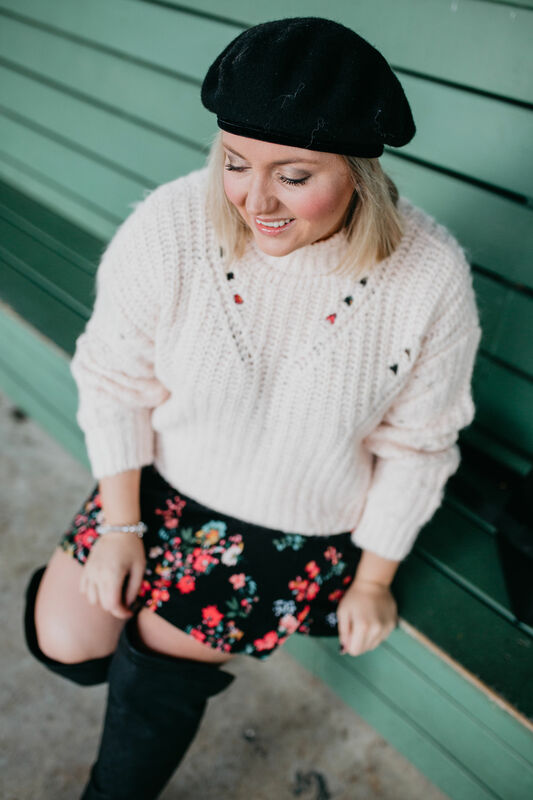 The second look is the perfect option to carry you into the Christmas holidays for church, brunch or a cookie/ornament swap with your best gal pals in the neighborhood. This is where you have to step outside the box and get creative. 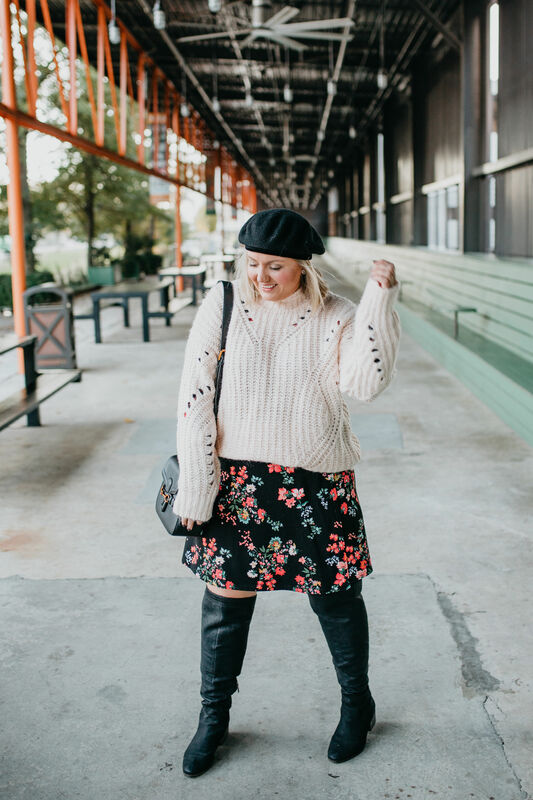 I love nothing more right now that a skirt and a cozy sweater. So I wanted to recreate the look with the wrap dress. 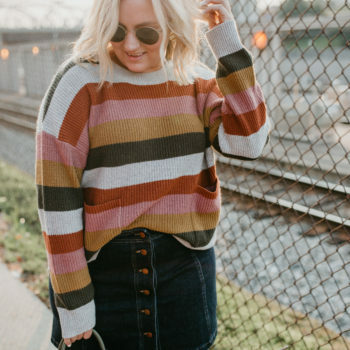 You have a built in belt to give the sweater a bloused look with the added plus of lots of movement from the wrap “skirt”. 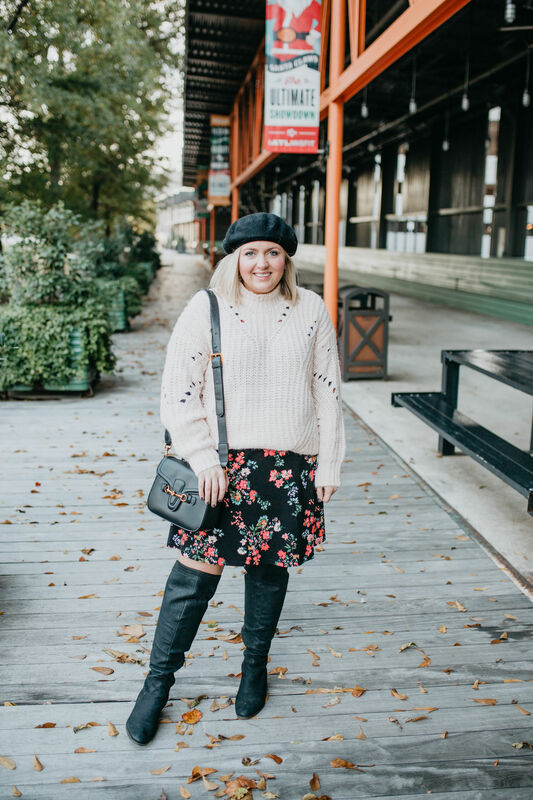 Adding an over the knee boot and a beret are the perfect accessories to keep your look on trend, fun, and give you some extra warmth. This is also kid friendly so you won’t have to worry about Santa getting a sneak peek while chasing little ones on the move or attached to you. Don’t forget I will be sharing all the killer Black Friday deals with you. 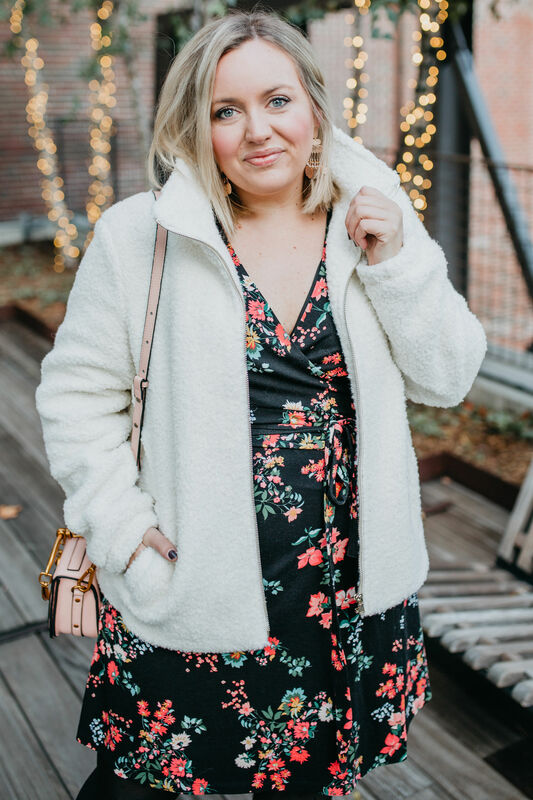 The one I am most excited about is BLACK FRI-YAY at LOFT. They are going to have amazing specials and deals you won’t want to miss. 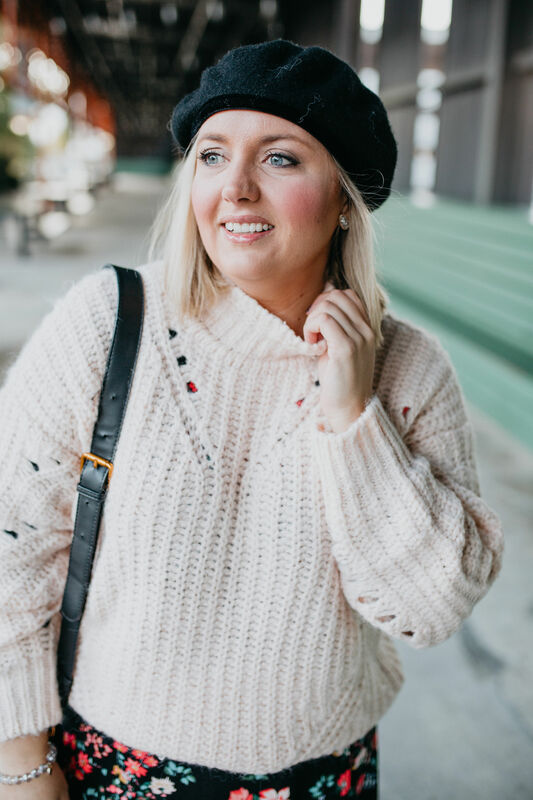 So make sure you check out my instagram stories and feed on Black Friday, come back to the blog for direct links and a running list of all the deals along with excellent gift guides with all the best that Loft has to offer. You can shop both looks here and I have also added a few of my other favorites from the new collection as well. 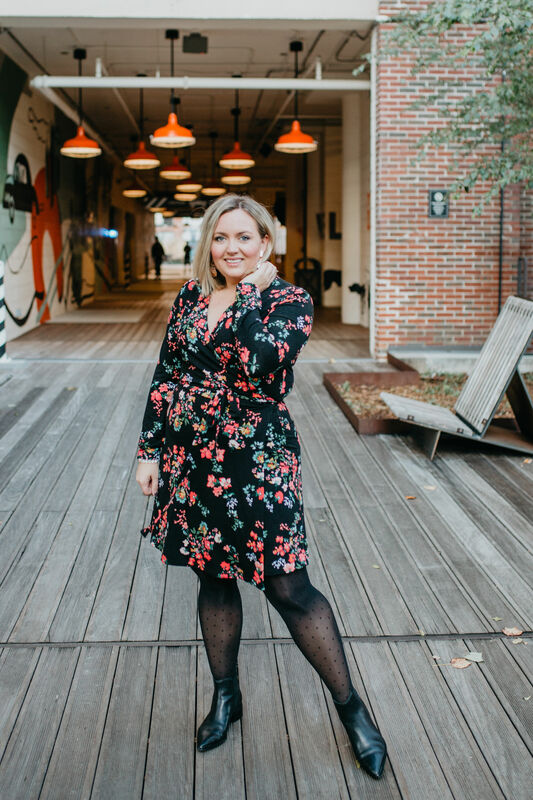 This dress comes in both regular and plus sizes so that every woman can feel beautiful in this classic wrap dress. 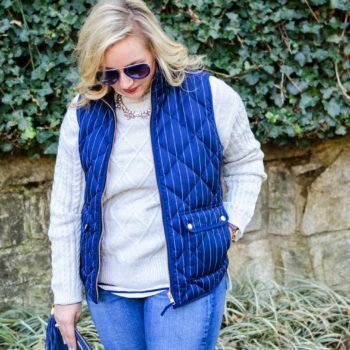 This is a sponsored post with Loft. All thoughts and options are my own. I love the black background on the dress and the floral print. It really pops! I also love the way you styled the dress with a sweater for a more casual look. I think this dress would look darling on you. Perfect for work to weekend. Look so pretty on you. you are so kind. thanks for checking out my post. I love how you layered a sweater with the dress! Thank you so much. Glad you liked the idea. Absolutely love this look!! Thanks for sharing! Lee, Thank you so much. I think its perfect for the holidays. Hey y'all! 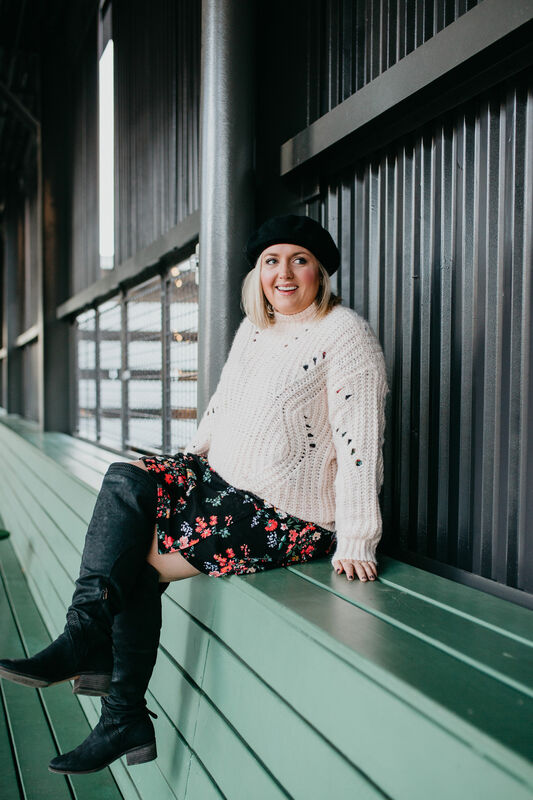 I am a chef turned fashion and lifestyle blogger. 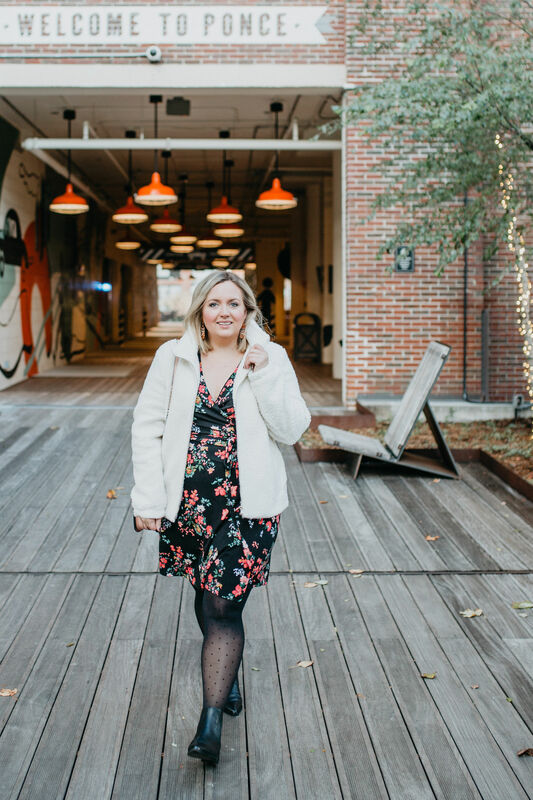 I hang out in Atlanta, living that road warrior life as an outside sales rep. A few of my favorite things are Lady Clover Belle, Chocolate, Netflix, and my faith. Thanks for following along as I share this beautiful mess of my life and what I wear while doing all the things.